Genomed has the expertise to offer a personalized service, establishing working Molecular Biology laboratories in partnership with our clients. The laboratories established by Genomed specialize primarily in the areas of Forensics, Clinical Genetics and Animal Testing. 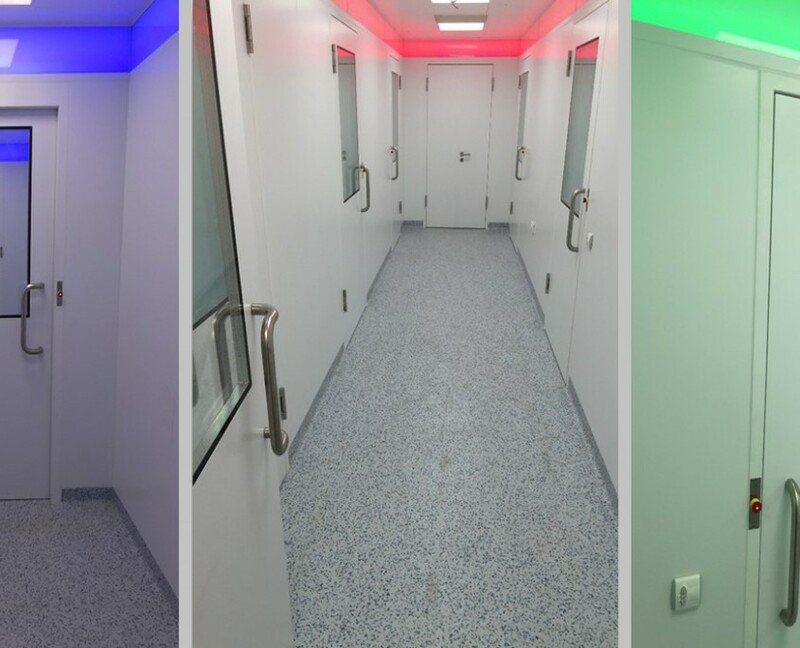 Projects designed by Genomed are entirely flexible and tailored to the needs of each partner, while at all times maintaining the maximum quality guarantee. All of Genomed’s TLS projects are divided into the following phases. Depending on the requirements of each client, these can either be individually selected as necessary, or implemented as a whole. A plan of the laboratory is drawn to scale, dividing the laboratory space into separate rooms as defined by international recommendations and standards. Siting the facility with consideration for Laboratory’s floor plan. Architectural plans, for Cost modeling, and scheduling, and written specifications with 2D Preliminary plans and 3D imageing. Modular plans for each laboratory unit, indicating materials and internal finishes for floors, walls, and ceiling. HVAC Systems Solutions: Control of internal and external temperature and humidity conditions, including air filtration and special treatment, together with ventilation rates and pressure relationships for individual spaces. Automated monitoring and alarm systems for fire protection and access control. Preparation and planning of electricity, UPS, data and telephone Lines. 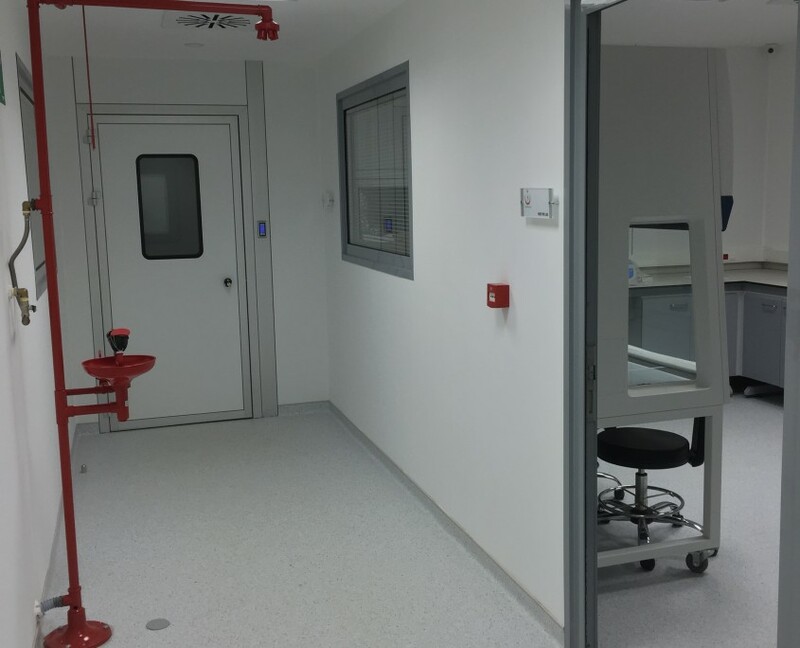 When the project requirements have been defined and approval received from the participants, Genomed’s TLS division will start installation of the laboratory. 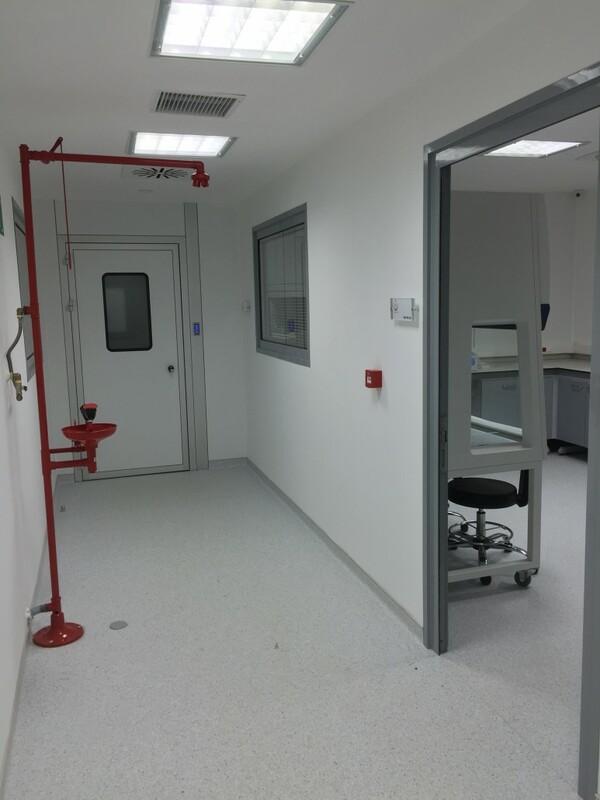 Genomed will carry out all construction work required to divide the premises into separate work rooms. Where possible, Genomed will utilize existing installations and utilities. Based on the technical requirements of the project, a list of essential instruments is prepared, finding the optimal balance between quality and cost. All consumables, materials and reagents required for the efficient operation of the laboratory are included. 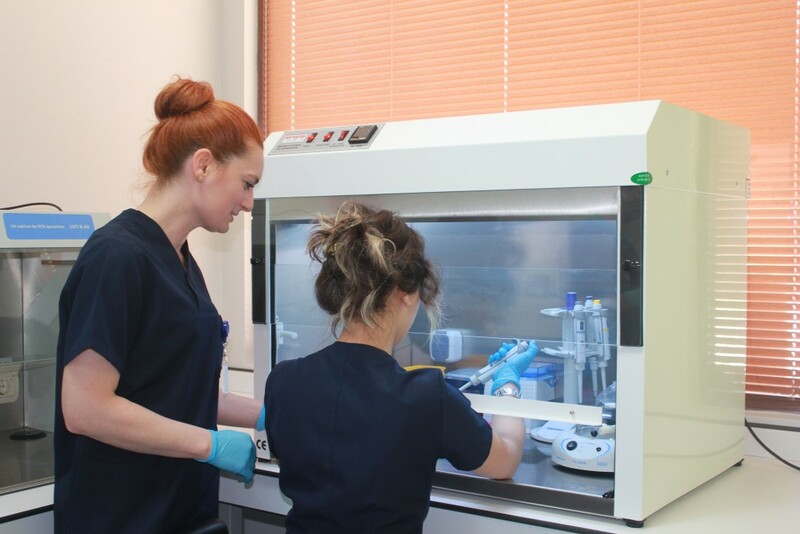 Genomed offers individual training plans for each project, tailored to the specific methodologies, techniques and instruments that will be used in the laboratory. Training is provided by technical professionals from Genomed’s TLS department, who are highly qualified and have extensive experience in the Molecular Biology field, primarily in the area of Human Identification. 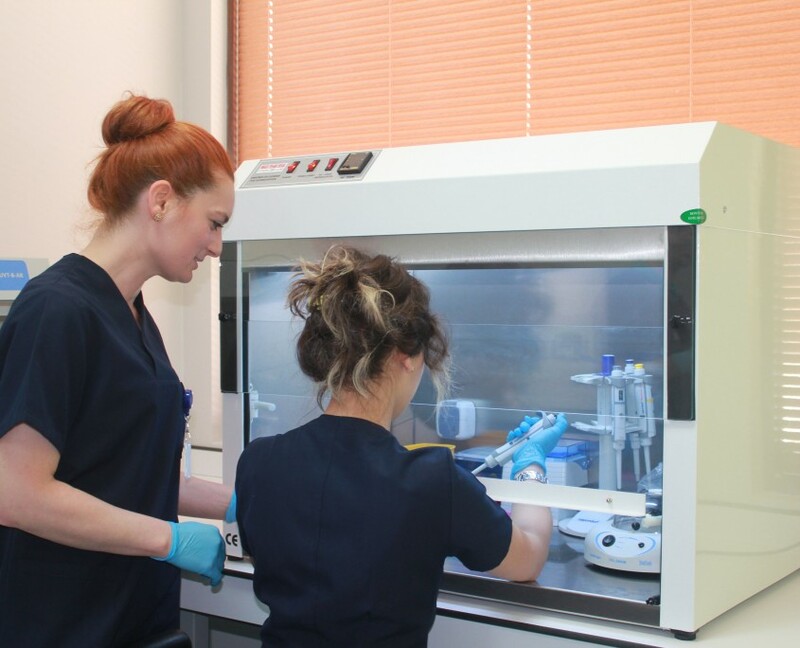 By the end of the training period, the laboratory staff will have all the theoretical and practical knowledge necessary to carry out the required procedures with total reliability and precision. 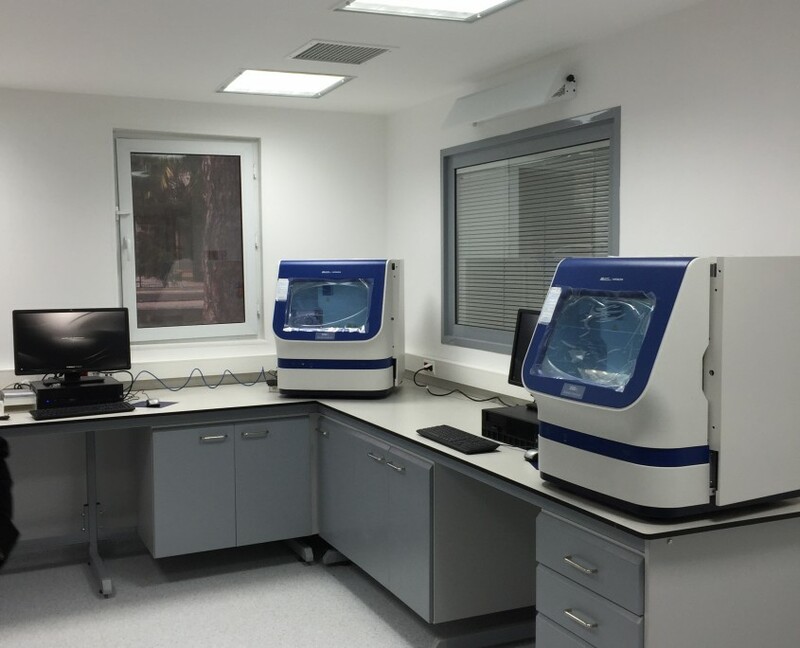 Once training is completed, Genomed will work with the trained client staff to adapt and optimize the kits and tests on each of the specific instruments required to run each assay. 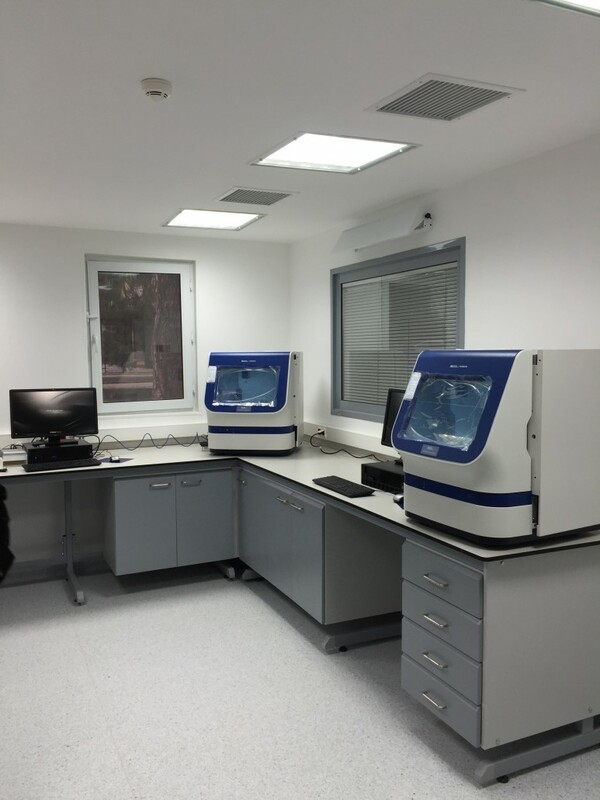 Once the laboratory is in operation, Genomed will help the participants to gain accreditation for the laboratory. To achieve Accreditation, the laboratory needs to fulfill defined requirements for carrying out tests and/or calibrations, including sampling. These requirements cover testing and calibration performed using standard methods, non-standard methods and laboratory-developed methods. In order to gain Accreditation, the laboratory must also develop management systems for quality, administrative and technical operations. Genomed offers technical support to the operational laboratory for a defined period of time, providing continuous technical support to solve any problems and answer queries that may arise. During this same period, Genomed will check and update the training levels of laboratory staff. Each instrument supplied as part of the project will include installation, basic training and one year’s warranty. Additional service contracts are available after the warranty period expires.